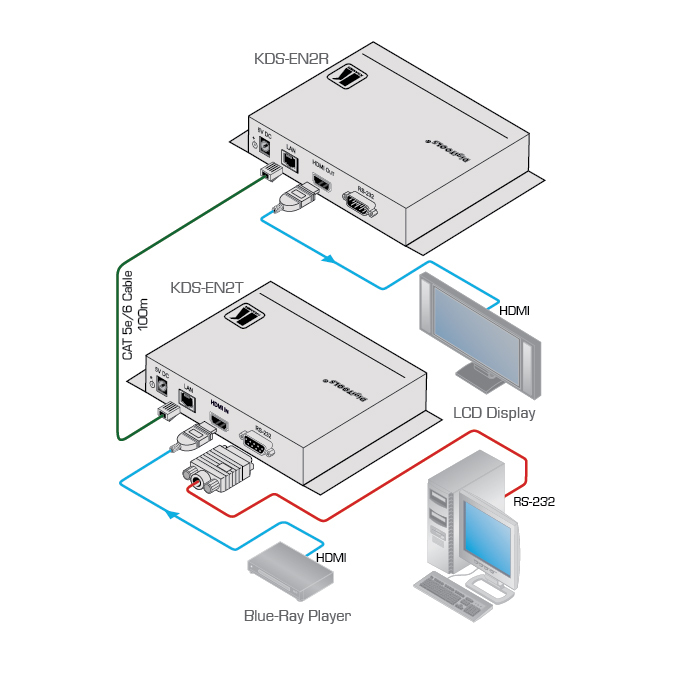 The KDS-EN2R is an IP-based receiver for HDMI signals. Using JPEG2000 compression technology, the KDS-EN2R receives a visually lossless HD image with digital stereo over a 1000BaseT LAN from a KDS-EN2T transmitter for multicasting, video wall and digital signage applications. Inputs 1 LAN on an RJ-45 connector.